"I love figure skating!!" Yaaay!!! He's adorable! Gah, I feel the itch to like many posts here but can't so to summarize, I agree with everyone's choices! I usually have to stop myself from gushing about Deniss because I'm almost superstitious about jinxing him. He and Stephane get along so well and it is so obvious the progress he's made, plus Stephane is very aware judging from his interviews, that these days what it takes is a quad so I am glad they are working on two. Plus he didn't push him at all this season, which I am grateful for. One thing that I would like to see with Deniss is improvement of his 3A. That's one of those ahh hello 3A set up, goes to get tea, returns, sips ... darn he's flubbed it. The jump itself has improved quite a bit but snip snip that telegraphing Deniss. Hello Skye, welcome, welcome. I almost missed your comment. I'm glad you're enjoying it, we're always open to suggestions too! And aren't they fab indeed?? At least they are going to be in Milano but alas, the rest is still up in the air. I keep trying to check frequently but no news! Thank you for making this thread, Yata. I have so many favourites in this section that I don't even know where to start. Team Kazakhstan - I like both Lil'Bet and Denis, I wish them luck next season. I wonder if Mambekova will reach the TES minimum for PC. I love Julian Yee too - I disliked his LP music but he performed the heck out of it at Worlds. 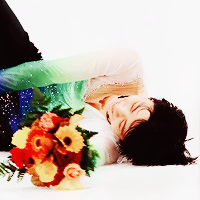 I loved his joy and effortless skating. MCM - his LP suited him a lot this season, I always like his music and choreo choices. He's lovely. He's been struggling with his Lutz and Flip for years and I hope he can improve both jumps for next season, so maybe he could finish one-two places higher than he usually does. Count me in for James/Cipres too, I didn't care at all about pairs before the Europeans but they got me hooked ! Then I discovered Sui/Han at 4CC, and now pairs are my second favourite category, behind men of course ! Jun Wa is sooo promising too ! I can't wait seeing him growing up as a "complete package skater" à la Orser.